The company employs 43 and has annual sales of $10 million. This article appears in print in the February 2019 issue, and is presented by Impact Washington. Click here for a free subscription. 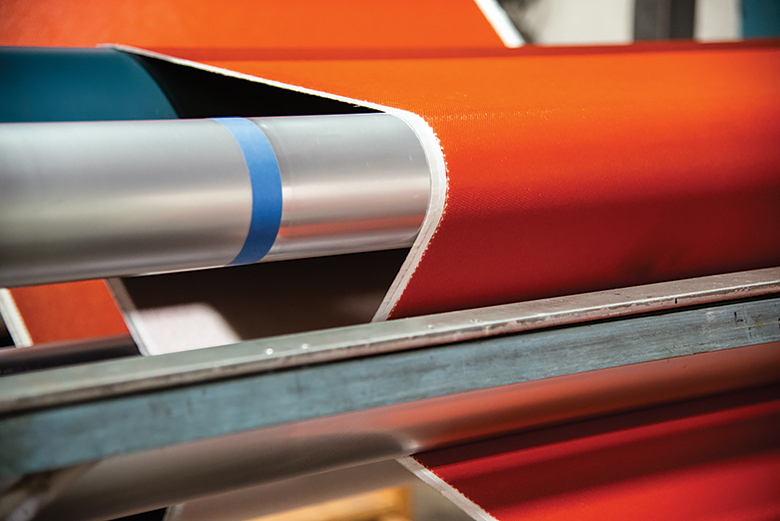 Family-owned Mid-Mountain Materials Inc. has been making precision-coated fabrics and textiles for more than three decades. Now based in Seattle’s Georgetown neighborhood with a manufacturing plant in Arlington, Mid-Mountain makes heat-resistant products that offer environmental protection, emission control and energy conservation. It employs 43 and has annual sales of $10 million. 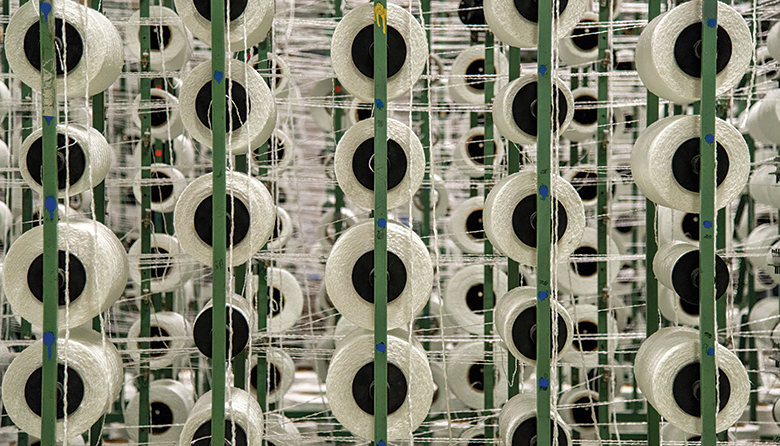 In the top photo, some of the 3,300 spools of yarn on a creel, which was moved from China so Mid-Mountain could manufacture in the United States. 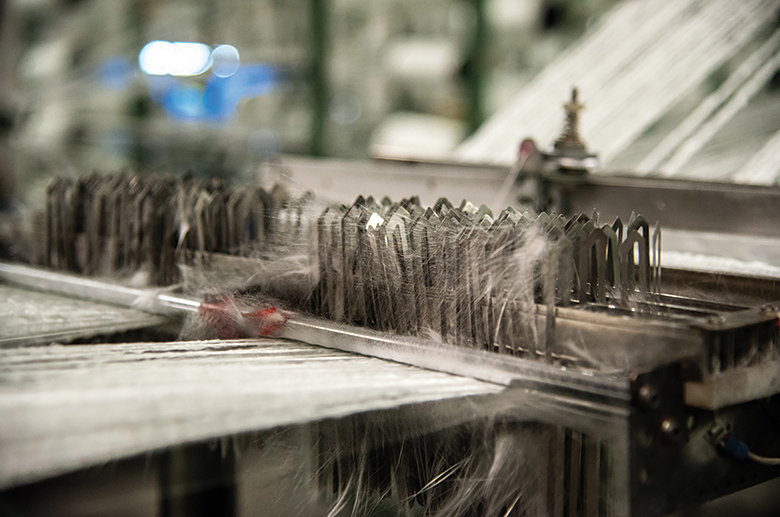 A creel feeds fiberglass yarn into a loom to weave a heavyweight fabric. 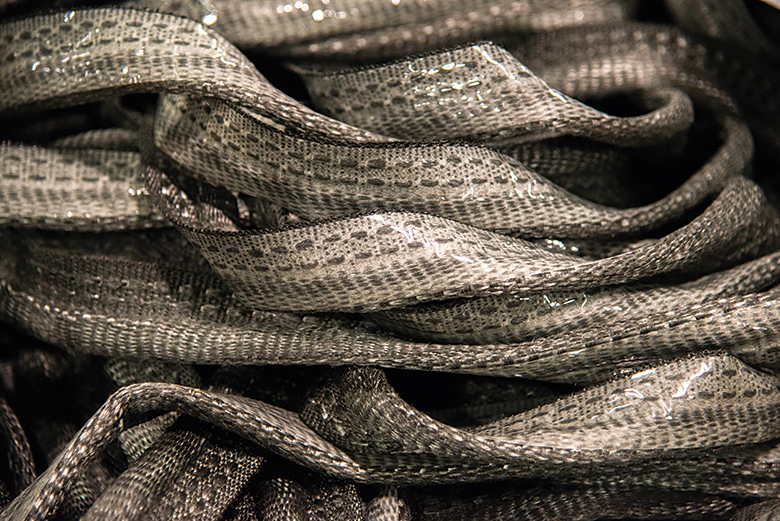 Mid-Mountain’s woven-fiberglass Tadpole Tape is used mainly as a sealing application in gas fireplaces. 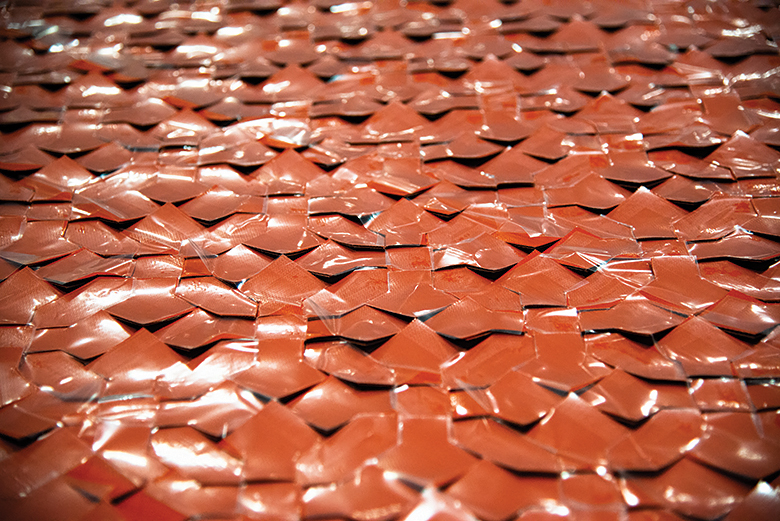 A fiberglass fabric coated with silicone rubber.